Living in New Jersey, the thing to do in the summer is to go “down the shore” aka to the beach. It’s almost like a right of passage in your childhood that your parents take you to the boardwalk as a child, and it becomes something that carries over into your teenage years and adult hood. And it never gets old. New Jersey has a lot of beaches, more so than boardwalks. On a not so hot afternoon, I packed up the twins and drove to exit 102, to Asbury Park. I spent a lot of time there in my 20s as the legendary Stone Pony is there – back when I used to be a music journalist. The area during the mid 2000s wasn’t the greatest. The boardwalk itself was completely barren and abandoned from it’s earlier years in the 1930s as a popular destination spot. However, they have since built the boardwalk back up into an artful celebration of culture centered around the beach. 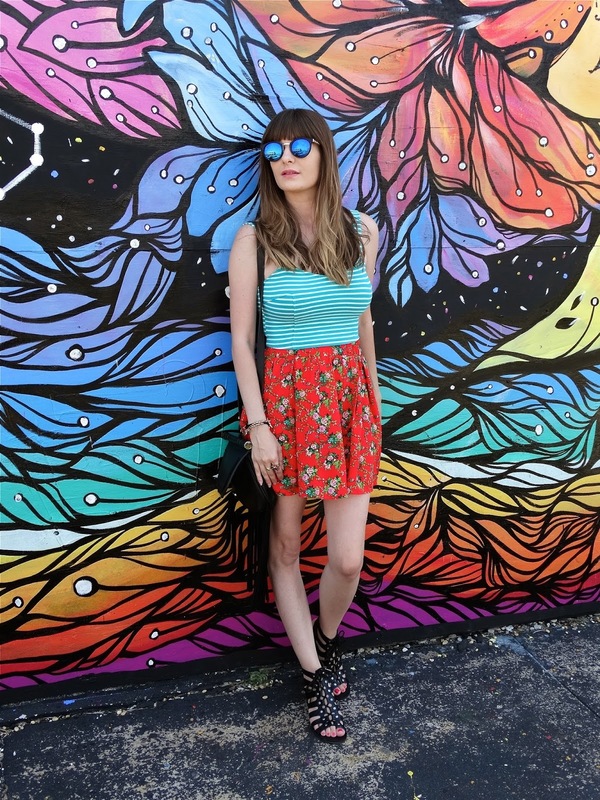 There are murals everywhere that are a fashion bloggers dream come true. Um, how could I NOT take photos in front of Madam Marie’s!? The mural outside her shop oozes of gypsy vibes. This is by far my favorite summer photo location. As for my outfit, I curled my hair that day to test out my newly revived ombre. The striped crop top and floral print skirt – a give in being that I live in skirts from June to September. So comfy and colorful! And here’s yet another mural. 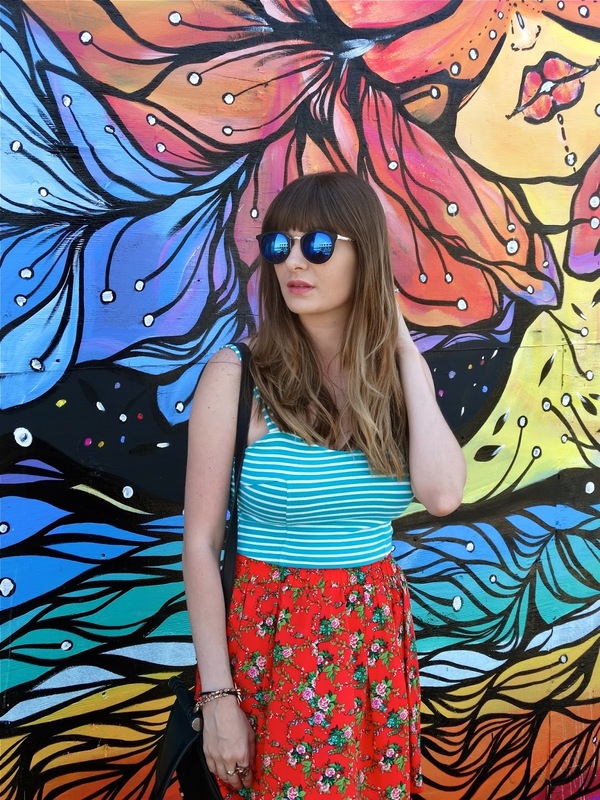 I think Asbury Park is going to become my go-to for summer #ootd posts!